This blog is a place to share my ideas and experiences as a Computer Engineer trying to make a difference in this world. At work I have to consume lots of web services from all over the place. They come in many flavors: .NET, Java, etc. The best way to fix this annoying problem is to create a partial class with the same name as the one generated by WSDL.exe and override the GetWebRequest(Uri uri) function. The code above will override the GetWebRequest method by adding an "Authorization" header containing the username and password. WebSphere looks for this header on basic authorization. This should get rid of the 401 return code. And this is all there is to it. Now you can call any web service that accepts basic auth. Many ASP.net developers are used to creating charts using the .NET built-in Chart Controls, but how about MVC developers? Are they out of luck? 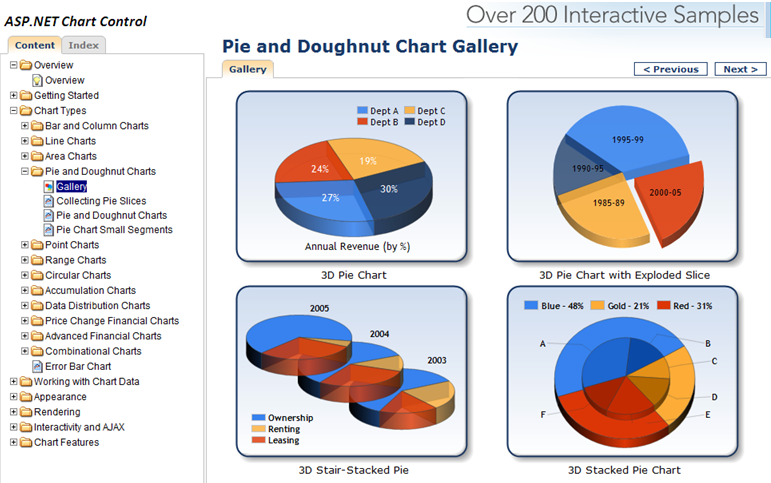 A couple weeks ago I was looking for a way to generate nice looking charts for an application I'm working on and I found out that while there are several ways to use the .NET chart controls in MVC, most of the implementations lack interactivity and therefore were useless for the application I wanted to create. I found an example from Daniel A Hill using a custom chart action result and it looked promising, but it lacked interactivity as well, so I started looking for a way to make my own Action that would do what I wanted. If we look at the underlying HTML that is generated by chart controls, we see that it consists of a <img> and a <map>, so all we need to do is create both of these and we will have our interactive controls. This is all there is to it. One caveat is that you MUST call chart.SaveImage() before calling chart.GetHtmlImageMap(), otherwise it will throw an Exception, but if you are careful in doing that, it should all just work.To see an example of the new controller in action, head over to MVC Chart. To see the whole source code, take a look at my github repository.